State Minister for Foreign Affairs M Shahriar Alam on Sunday said four Bangladesh nationals died in Friday's terror attacks in New Zealand mosques and feared that the figure may go up to six. "The (New Zealand) authorities have confirmed the death of two persons," he told UNB adding that they are counting the dead of two more Bangladeshi nationals through collecting information from community people. The two identified victims are former Prof of Agronomy, Bangladesh Agriculture University, Dr Abdus Samad; and Hosne Ara Ahmed, wife of Farid Ahmed hailed from Sylhet. Two more people -- Omar Faruk (Narayanganj) and Mojammel Haque (Chandpur) -- still remained missing and they are “perhaps” dead, an official said adding that information on Zakaria Bhuiyan “is also missing”. Zakaria, hailing from Narsingdi, went to New Zealand from Singapore as welder around 18 months ago. Shahriar said the New Zealand government has informed Bangladesh that they will take one close relative from each of the victims' families to New Zealand and they will be able to bring the bodies back home. "We’re urging all concerned families to communicate through our hotline numbers who are yet to communicate," he said. Honorary Consul of Bangladesh Shafiqur Rahman could be contacted over his mobile phone (No +64 21024 65819). Two additional numbers for emergency contact are +61 424 472544, +61 450173035. Shahriar said Dr Samad's family has decided to bury him locally and his elder son will join them from Bangladesh. There is no decision yet whether Hosne Ara will be buried there or her body will be brought back home. Among the injured, the condition of Lipi, wife of Masud and hailing from Kishoreganj, is critical, and she may undergo another surgery. Mutassim, hailing from Gazipur, and Sheikh Hasan Rubel who sustained bullet wounds in their feet are out of danger, according to the State Minister. 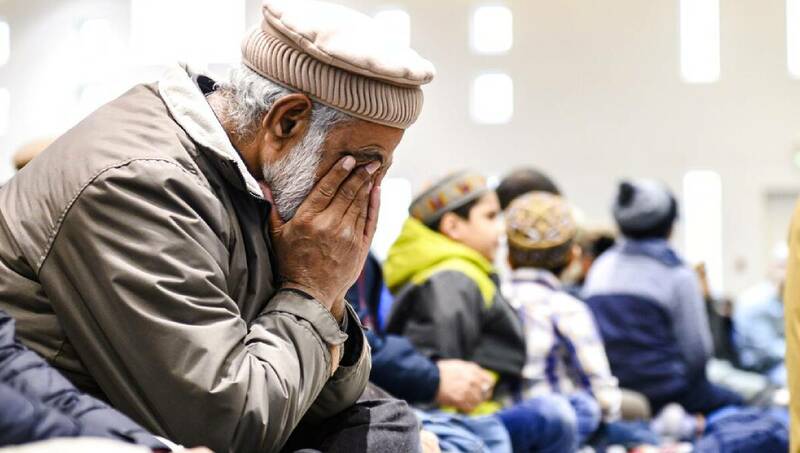 Fifty people were killed in terror attacks on two mosques during Jum'a prayers in Christchurch on the day. Following gruesome terrorist attacks on the two mosques in Christchurch, the Bangladesh High Commission in Canberra has intensely engaged with the New Zealand authorities for the safety of members of Bangladesh diaspora and early safe exit of Bangladesh national cricket team from New Zealand. Tigers returned home on Saturday night. The incident had happened minutes before the Bangladesh cricket team arrived at one of the mosques. Meanwhile, the High Commission directly and through the Honorary Consul of Bangladesh in Auckland disseminated message to the Bangladeshis and diaspora living in New Zealand in general and Christchurch in particular to remain calm, be indoors, avoid the places of congregation and obey the instructions of law enforcers. Honorary Consul of Bangladesh Shafiqur Rahman arrived at Christchurch on Saturday morning to extend support to the Bangladeshi victims. All the injured were learnt to have taken to hospital for treatment after the attack while all the dead bodies kept in the mosque till Saturday. The New Zealand authorities have confirmed the total number of deaths. However, they are yet to confirm the nationalities of the victims and details of the injured. Their Justice Department is expected to declare that, according to officials. The two identified victims are former Prof of Agronomy, Bangladesh Agriculture University, Dr Abdus Samad; and Hosne Ara Ahmed, wife of Farid Ahmed hailed from Sylhet. Two more people -- Omar Faruk (Narayanganj) and Mojammel Haque (Chandpur) -- still remained missing and they are “perhaps” dead, an official said adding that information on Zakaria Bhuiyan “is also missing”.